Most people have heard of Susan B. Anthony, Harriet Tubman, Margaret Sanger, and Eleanor Roosevelt. But did you know that a female microbiologist discovered the bacterium responsible for undulant fever, which then led to the pasteurization of milk? Or that a female mathematician's work laid the foundation for abstract algebra? 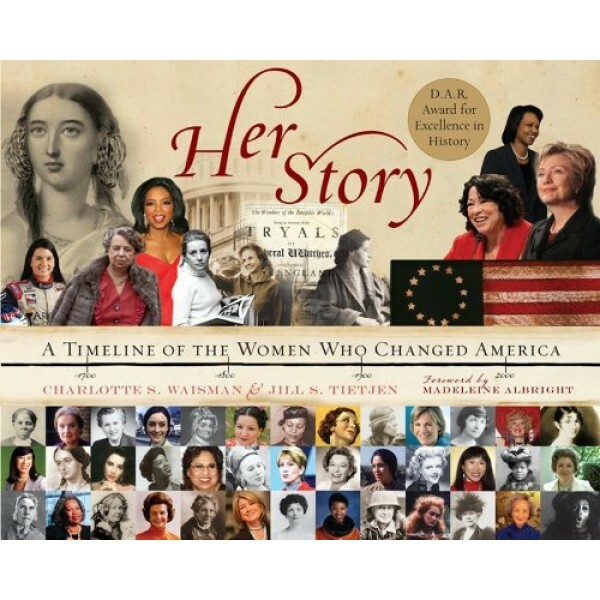 Her Story is a one-of-a-kind illustrated timeline highlighting the awesome, varied, and often unrecognized contributions of American women throughout U.S. history, beginning in the 1500s and spanning all the way through 2011. 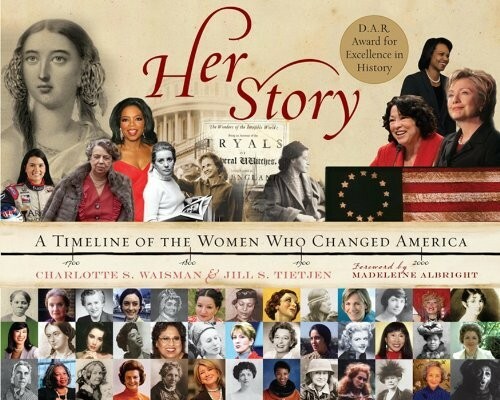 The women featured in Her Story range from writers, artists, actors, and athletes to doctors, scientists, social and political activists, educators, and inventors, and come from all backgrounds and philosophies. Her Story is a captivating look at America's often unsung female champions that will resonate with women and men alike. For more than twenty-five years, Charlotte S. Waisman, PhD, has advocated for women as a professor, political activist, keynote speaker, and expert witness. She has co-authored several books, and is director of human resources for the Women’s Vision Foundation. Author, speaker, and electrical engineer Jill S. Tietjen, PE, is one of the nation’s top historians on scientific and technical women. She is the CEO of Technically Speaking, a national consulting company specializing in improving technological career opportunities for women and girls.